PLAYERS – « Sakor will be staying with Göteborg who will exercise the purchase option. But Juve will retain the future rights on the midfielder. Like every year at least 10-12 players on loan will change jersey in January for various reasons: the adaptation to the tactics, technical problems, reduced use or because there are opportunities for improvement. Who is doing better? I think of Audero , in a difficult role like that of the goalkeeper. Then, apart from the various Caldara, Spinazzola, Mandragora , there are those who are returning to the limelight after a physical ordeal: as Margiotta, the symbol of our project. He is an attacker who has collected various experiences in Lega Pro and now he has settled in Lausanne where he has completely reconstructed an image, a value, so much so that with goals he is followed by top clubs that also participate in the European Cups : Young Boys and Basel in Switzerland, but is also monitored in Germany and France. Beltrame? Stefano has chosen to train in the Netherlands, he who also made his debut with Juventus under Conte. And given that in Italy he risked being branded as a talent that failed, we thought: why not get an experience abroad? So he moved to Holland and asked to stay there, but changing clubs in the second year: from Den Bosch to Go Ahead Eagles. 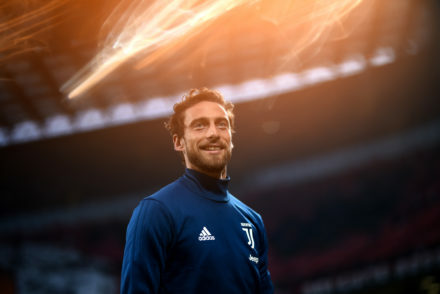 But since it is still owned by us and has a lot of talent, I do not know if he will manage to come back to Juventus, but he will have the chance “. 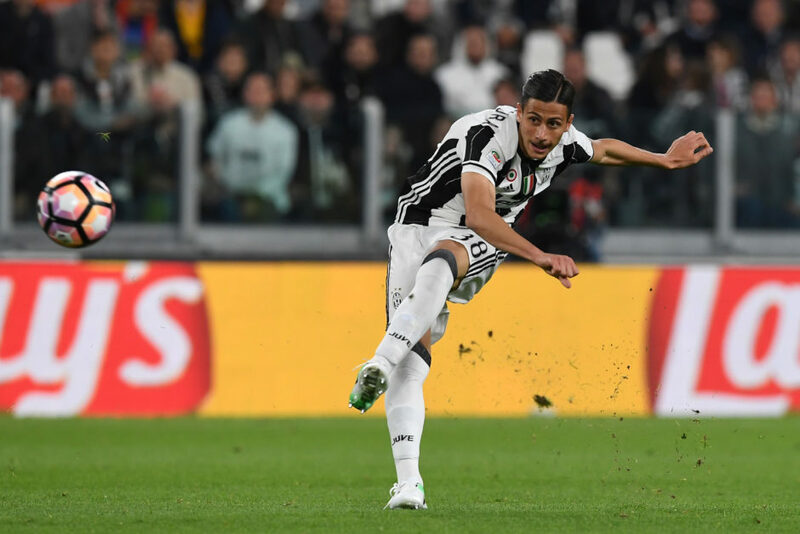 B Teams – ” There are guys who find consecration in a short time as Audero, instead Spinazzola is one of those who have made a longer and more difficult path . We must be patient to accompany them and wait for them: this is the added value. Other times you risk losing boys, that’s why we invoke the B teams. The number of loans would be halved and the maturation of the boys would take place within us. Other advantages? It would create a competitive team with the added value of making a truly complete path: if the Kean on duty had remained at Juventus, could have trained with the first team, possibly be available to Allegri, otherwise play with the second team in B or C. And even in the Youth League could have played in the spring. At that age it is important to take full advantage of your training, never miss a week of work and every weekend play a competitive game. Now Kean is following his path with the great Verona, but if I think of many other guys … ». ABROAD – « For a boy who leaves the youth sector at 18-19 years of age, it is an experience that completes humanly and on a training level , allowing you to get to know different training methods and cultures and to learn a new language. From a technical point of view they are confronted with realities where the players on loan are few and are considered as those owned. The clubs with whom we are tied? The Zulte Waregem in Belgium, Den Bosch in the Netherlands, Lausanne in Switzerland, and we have a direct contact with Ms. Swarovski, owner of Wattens, Austrian Serie B club “. YOUTH SECTOR – « Our goal is to build players of a certain level, not victory . This directs the choices: a thirteen year old already trained who will then play in Serie D is stronger than a thirteen year old who will play in Serie A, but that has yet to develop. We have chosen the most difficult road, focusing on the technique. The increase in the average level of the player treated in Vinovo is now leading to combine training and results: as happened with the Scudetto Giovanissimi last year. This year we are competitive in all categories, but with very technical players, who will mature. At Juventus fortunately there are professionals in the youth sector who do not seek satisfaction in winning a championship, but I saw in tears the debut of a boy in the first team. For satisfactions, however, we must know how to wait years. Marotta and Paratici in this are exceptional: the purpose is never the result, that is related to the first team ». TEAMS – ” In the basic activity, from Under 7 to Under 13, the general principles are very linked to the adult game and, on a physical level, above all to the development of coordinative activities. In the competitive range, from Under 14 to Spring, we set the principles of the game that we would like to see, leaving freedom to the coaches on the form and focusing on the prevalence of the ball, because the player grows and improves with the ball. We want to reduce the hours of tactical exercises as much as possible , because the tactics are important in the first teams, and to instead favour the activities with the ball “. 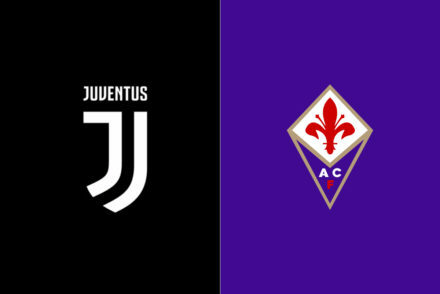 SCOUTING – « It is an area that belongs to Paratici, which follows it with great attention and holds weekly meetings with us. There is one person responsible for Italy, Mattia Notari , and one for the foreigner, Matteo Tognozzi , who reports to supervisor Pablo Longoria. In Italy we have about 20 observers, plus three specific figures abroad. For children up to 14 years, which can only be taken in the club geographical region, we rely on the Academy in the area. From the age of 14 upwards, 10 young people from other regions can be registered each year: we follow them in the clubs through our observers, who place their relationships in an information system. All are read by the scouting secretariat, filtered through degrees of judgment, cataloged and reported to those responsible. And Paratici reads all of them. Then we send a lot of people around, because we like the feeling live : the observer, beyond the computer relationship, has to call the managers and say, “look, I saw a guy who impressed me”.Allegri? He is very attentive to the youth sector . Since the reconstruction of the Ale & Ricky pitch has allowed the Primavera to play at Juve Center there is the advantage of contiguity and Allegri, Marotta, Paratici, Nedved often attend the games. Sometimes the players of the first team also do it, and they often watch Spring on TV when they are resting ». So positive words all round and I quite agree with the focus on ball skills rather than winning, yet that is not to suggest we are not successful at youth levels. Vajaebah Sakor, the U21 Norway international central midfielder will sign for Gothenberg, as Cherubini mentioned. Where he has impressed and played fairly consistently before the season ended. We retain an option. At 24 years of age it is unlikely to ever see him in black and white, though we have recently extended his contract until 2020. And our old friend Grosso, in charge of serie B side Bari (currently 4th in the table), are eager to swoop to bring him home. As are a few other clubs in Switzerland and possibly Germany. Sticking with success stories, I will highlight the sterling progress of Rolando Mandragora, a mainstay in the Crotone team and a major reason why they have any chance of survival. Captain of the Italy U21 side and playing with a maturity which belies his tender age, the defensive midfielder has a serious chance of consideration for a future at Piedmont. Partly because the DM position has been a problem for a fair while now, one we have enjoyed Marchisio converting towards, then shoe-horned Pirlo, tried to do the same with Pjanic, then accepted we were better off changing the shape. The importance of a deep lying regista who can screen the defence, hustle, impose himself physically on the midfield and dictate the play is one obvious area of weakness for whatever system Max presently deploys. Rolando is still raw, and he must continue in the same vein, but these early signs are very promising indeed. Bentancur is more a box to box or mezzala, Matuidi in a similar mould albeit more physical. Sami is long in the fang. Claudio? The jury remains out but until/unless he is given a run in the team we will not know if he can rescale previous heights of brilliance. And as for Sturaro, poor Sturaro…he is ruined. A shell of the spritely menace he once was. Too little game time, too often given outlandish roles to perform, and as a result his career trajectory has plummeted. I hope he is sold to give him a chance of returning to the promise shown of yesteryear. He deserves this. “Bonucci is the best Italian defender with the ball at his feet, in fact one of the best three in the world,” Capello told Sky Sport Italia. I couldn’t agree more with the wily old fox. We have not filled that deficit. Instead moved the play to become more industrious at the back and attempt to get the ball to our creative players more swiftly by hook and crook, mainly the wings and Dybala/Pjanic dropping deep. I would prefer to see them both operating deep in the opponents half. Which is what a pure DM allows. Such a shame we missed out on Witsel, yet we have potential in Can and Mandragora. Whilst Caldara is a player I am confident will prove a monster in our backline, he is a little older than Rolando. For at 20, the midfielder is making equally strong strides and playing with a much weaker squad and less talented manager. His progress is superb. Rogerio, Orsolini, Macek, Kastanos and Andersson will hopefully be found new loan clubs as they have all seen barely any playing time. Nicola Leali is also expected to seek pastures anew, given his outings with Zulte are few and far between. Marrone and Tellos have been featuring fairly regularly for Bari. And elsewhere in the second tier Del Sole and Clemenza are making inroads in the first team for Pescara and Ascoli respectively. And whilst on the subject of the much troubled Ascoli side…We are to finalise the purchase of centre forward Andrea Favilli. Formerly of our primavera, the big lad has continued his decent form plundering 8 from 14 games thus far and whilst his club appear in jeopardy of the drop, he remains an interesting one to watch for the future. Old style prima punta, power and finishing, not much more but there is still space for such players in the modern game. At what level, only time will tell. And his team-mate, Davide Di Francesco (17), is expected to sign for Juve over the coming days. The tricky winger, U17 international, has scored 8 and made 1 from his 15 games for the youth side this term. It has proven a rocky start to Dal Canto’s tenure as U19 boss, with the team only of late clawing their way towards any semblance of form. They presently sit 3rd in the table. Five behind joint leaders Atalanta and our good friends at Inter. Marco Oliveri, on loan from Empoli, has been the stand out performer in attack with 9 goals from 14 appearances, with little else to praise. Yet I will add that Dal Canto is playing several 17 years olds and first choice between the sticks Del Favero is out injured until February due to surgery on his back. Suffice to say, the new manager has been taking his time to work out his best side and only of late, with 4 wins from 5, have the side seemingly close to settled. The Viareggio (March I think) and league are now our only goals, and both are surely within reach. However, I am pleased to see the little ones given their chance. As Cherubini explained, it is more about creating technical footballers than winning at youth level and we remain scouring the domestic and foreign markets for talent, investing carefully and consistently. The fruits of such labour are hit and miss and often take a decade to ripen. Patience is the key. Elia Petrelli, 16, is a goal machine. Monstrously tall for his age, standing at 1m86, the kid enjoyed a blistering campaign for Cesena last term scoring an astounding 32. Enough to prompt his move to Juve where he continued to find the net and was swiftly promoted to the U17 side. He has 9 from 13 games this campaign and very much looks a splendid prospect. I will endeavour to provide an update on mercato happenings for the youth sector, probably in February, given I will be once more on my travels later this month when a return to the motherland beckons. To experience my first true Winter for a decade…What could cause a man to flee a scene of sand and clear water, of comfort and safety and the steady glare of our nearest star for ice and blizzards and the far more gritty streets of England?